Professor MacKay’s first children’s book, Kochine and the Whisper People introduced readers to Kochine and the adventures of his life as he grows from a boy into a man. Kochine is a young man of the Mallumepet people that live on the edges of the Wellepmallu forest at the base of the mountains called Mallumep. 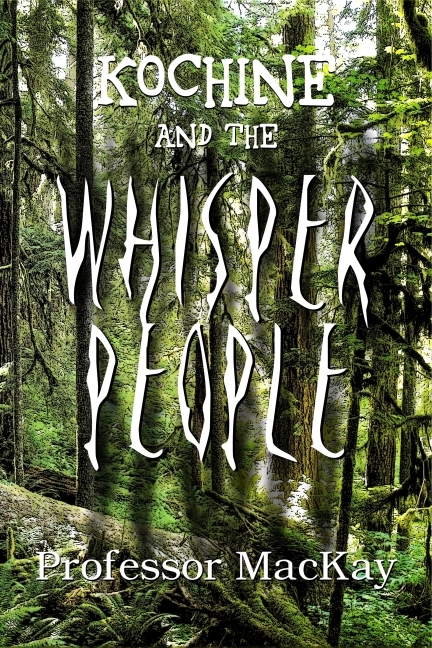 In the forest are dark and shadowy creates called the Whisper People, but Kochine has nothing to fear. The Mallumepet People do not fear the Whisper People. But, Kochine quickly learns that the Whisper People might be more frightening than he imagined. Boys of a certain age are sent on their Journey in order to be inducted into their society as men. Kochine is about to embark on his Journey and face the Whisper People on his own. Kochine discovers that there is plenty to fear in the forest. Grab your copy of Kochine and the Whisper People directly, from Amazon or Barnes and Noble. You can also purchase acopy for your for Kindle.